When we are facing any Hana database related issue, we need to check all log files, diagnosis file and trace files to troubleshoot issues. We need to read Hana diagnosis/log/trace files from various different location. If we SAP Hana is installed on multiple host (Distributed installation), then we need to login to all Hana hosts and check diagnosis/log/trace files. Sometimes these file sizes are too large and not easy to read these files. 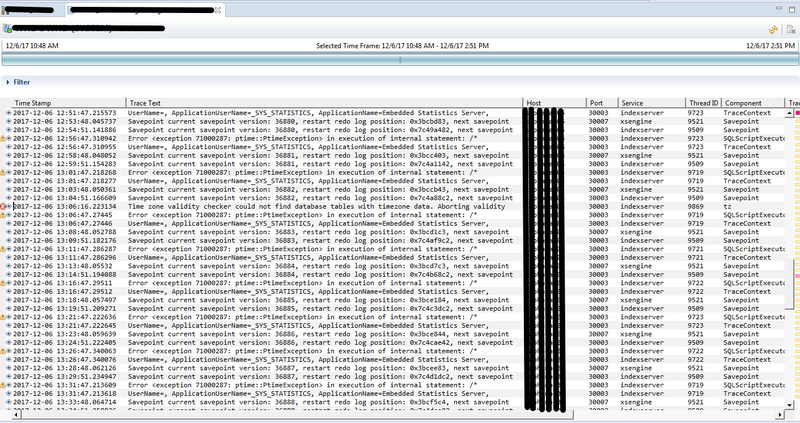 SAP Hana come up with very nice future where we can check/read all these files in one single place and with filter like show last __ Minutes/Hours/Days, Time range, Show only trace level error and export to CVS files. 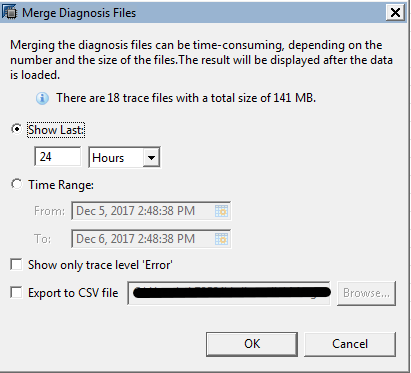 Let us check and merge trace/log/diagnosis file for Hana database for last 4 hours for demo purpose so you can understand this future even better. 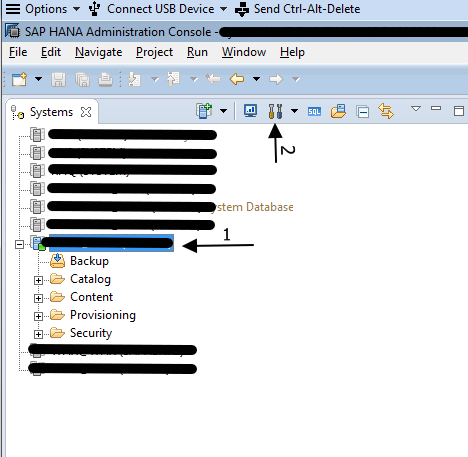 Open Hana Administration by Selecting SAP Hana System where you logged in and select administration icon from menu. 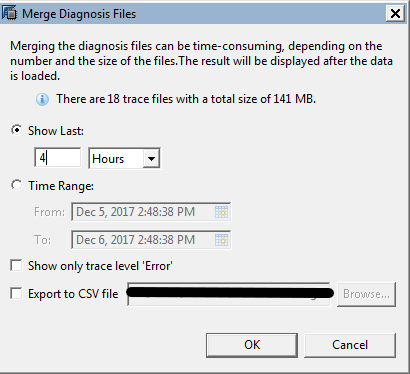 Click on menu button “Merge Diagnosis Files”, it will open following windows. Here you can see, we have following merging/filter option. Change show last to 4 hours and click Okay button. This will merge all log/trace/diagnosis files from all hosts and all locations and open new tab with merged selected options in tabular form. Very important future is red box at right most of the column, which shows errors. 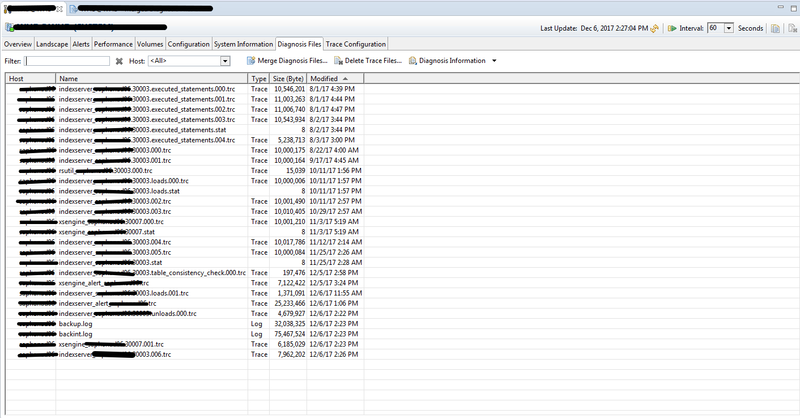 I hope this blog will help you to troubleshoot any Hana issue and manipulate log/trace/diagnosis files from one place.